Heads Together Presents Weak Nights! Weak nights is a new club series, living in Stranges Lane. 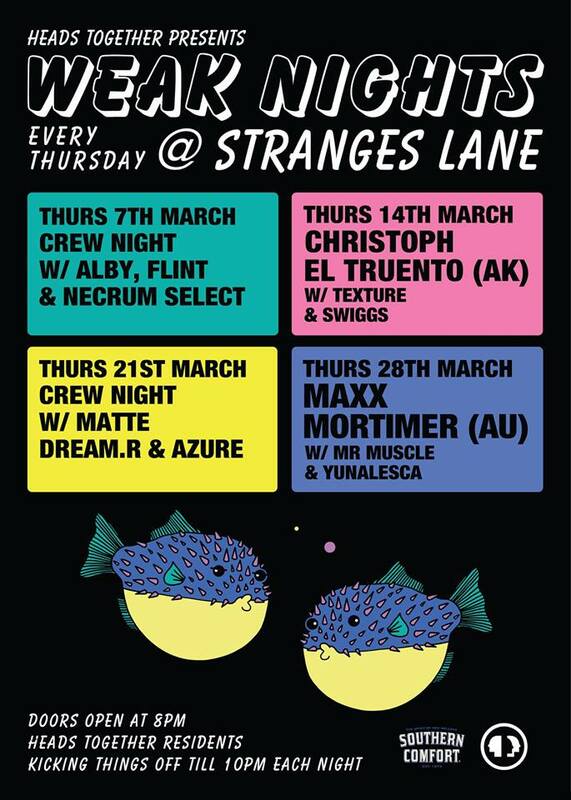 New DJs every week, check poster for Line Up.